Startups seem to be booming all around the country lately. Los Angeles and Orange County are starting to become a hot spot, and recently a new name was coined for the startup community in Santa Monica: Silicon Beach. As part of my job, I get to film investor screenings and learn from entrepreneurs who are creating the next big thing. Most of the startups I get to see are tech or medical related. So, this got me thinking about ‘film startups’ and why there isn’t more activity in this space. However, I was quickly proven wrong and found a good number of startups in this space. A full list can be found here. 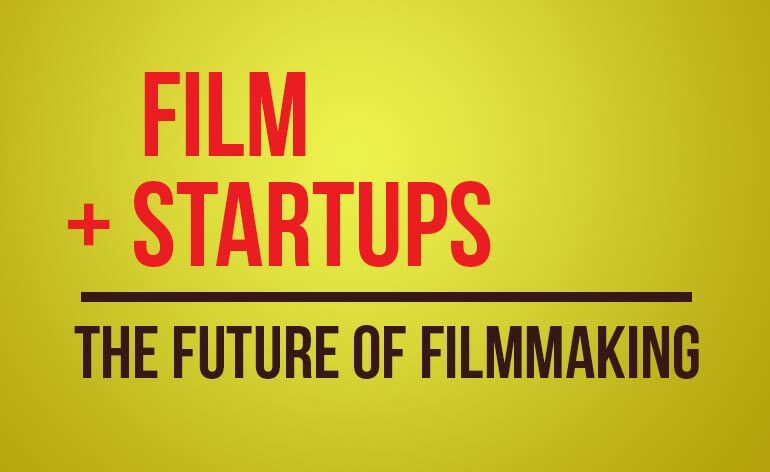 Below I highlight some of the exciting startups that are creating solutions for filmmakers and creating a better future for filmmaking. However, before you get too exited remember that CONTENT IS KING. Technological innovations will always continue to bring new opportunities, but only the best stories will benefit the most. A new ecosystem that has potential to be a game changer. This guys are forward thinkers, setting out to revolutionize how movies get funded. What is it: “Slated is an online marketplace for film financing and dealmaking — connecting a global network of investors, filmmakers and industry professionals. Most of these investors are qualified investors who will seek to reduce their risk. Looking at their funded projects, and you can take a guess that they are doing quite a bit of research. Looks like Comedy is safe way to start. Who doesn’t like to laugh? If you are interested on the benefits in investing in films rather then tech startups check out this blog. “Top 5 Reasons why Indies are like startups”. The writer is a savvy investor who has some great insight into why investing in films can be a good idea. There looking for internships too. Devoted to finding and funding new, fresh, and untold stories. What is it: “A the collaborative film studio that unites social development with traditional film production including financing and distribution. JuntoBox creators, filmmakers, and film fans present ideas to the community that are vetted through a patented methodology revealing the best talent and scripts using your network our network and globally?ultimately producing and distributing a number of feature films annually under $2.5m. Sell your work directly from your own website, with no rights restrictions. Visit them online at at www.filmbreak.com.